On Monday, we brought you the story of how U.S. Sen. 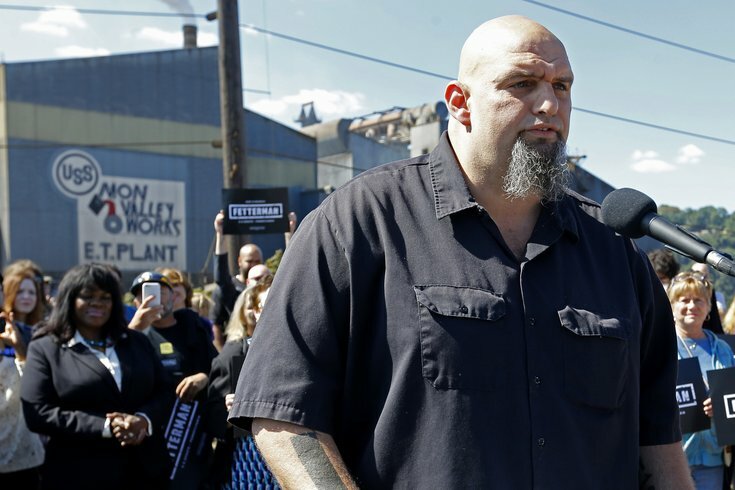 Candidate John Fetterman called on Democratic National Committee Chair Debbie Wasserman Schultz to step down because she co-sponsored a bill that would delay regulations on payday lenders. Today, we bring you another Fetterman story, though this one features markedly less political involvement. The behemoth mayor of Braddock, Pennsylvania, will visit Philadelphia's East Falls neighborhood tonight to meet the crowd at Billy Murphy’s Irish Saloonery’s Quizzo night (an event hosted by yours truly every other week). The Fetterman event comes just four weeks before a PhillyVoice-sponsored Quizzo will take place at Billy Murphy's Irish Saloonery in East Falls. Details to come in the near future. Fetterman will not only be in the Quizzo-playing mix, but will speak to, and field questions from, the crowd. If that’s something you find yourself interested in being part of, by all means stop by. Game starts at 8:30 p.m. The address is 3333 Conrad St., Philadelphia, PA 19129. Before you get worried about trivia-steeped partisanship, invitations were extended to both of Fetterman’s primary-race competitors. While Admiral Joe Sestak politely declined, Katie McGinty is scheduled to follow suit on April 19. (Yes, incumbent U.S. Sen. Pat Toomey will also receive an invitation before the general election in November). The marriage of Quizzo and political campaigns traces back to the 2015 Philadelphia mayoral race, when candidates Jim Kenney, Doug Oliver, Milton Street and Melissa Murray Bailey took me up on the offer. It’s a fun way to meet them off the traditional campaign path! Anyway, the Fetterman event comes just four weeks before a PhillyVoice-sponsored Quizzo will also take place at my neighborhood stomping ground. Much more details to follow in the near future.